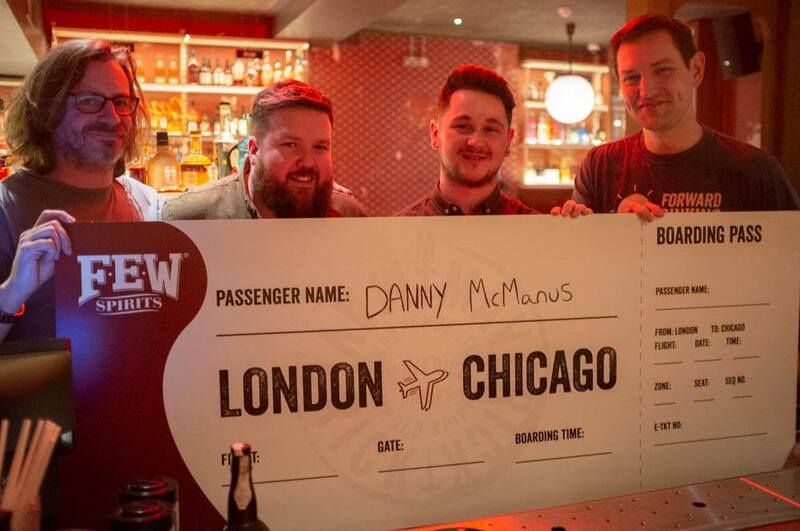 The final of the FEW Spirits competition saw six bartenders battling for a VIP trip to Chicago. In the very early days of BarLifeUK we were invited to meet a guy called Paul Hletko and try some booze he had made. It didn’t take long for us to figure out it was a brand with some serious legs. Paul was an engaging, passionate and knowledgable guy and the booze he was producing was really good. Unsurprisingly it was the bourbon and rye that really stood out for us and have remained bottles that we look for on a back bar. 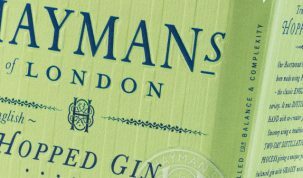 As a result we have been looking forward to the final of their first UK competition ever since Maverick Drinks contacted us a few months ago with their plans. 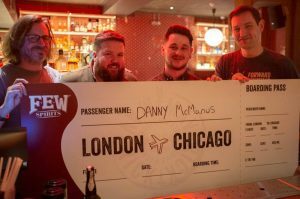 With an amazing trip to the home of FEW, Chicago, up for grabs and the popularity of the brands (many a US visitor has commented on the amount of FEW in UK bars) it was no surprise to us that the entries were both high in volume and quality. This all meant that the six bartenders who arrived at Genuine Liquorette earlier this week had already done exceptionally well and the quality of drinks promised to be of the highest level. Joining BarLifeUK on the judging panel were Maverick Drinks head honcho Michael Vachon and their Brand Advocacy Manager James Goggin. As it turned out we were in for a treat. 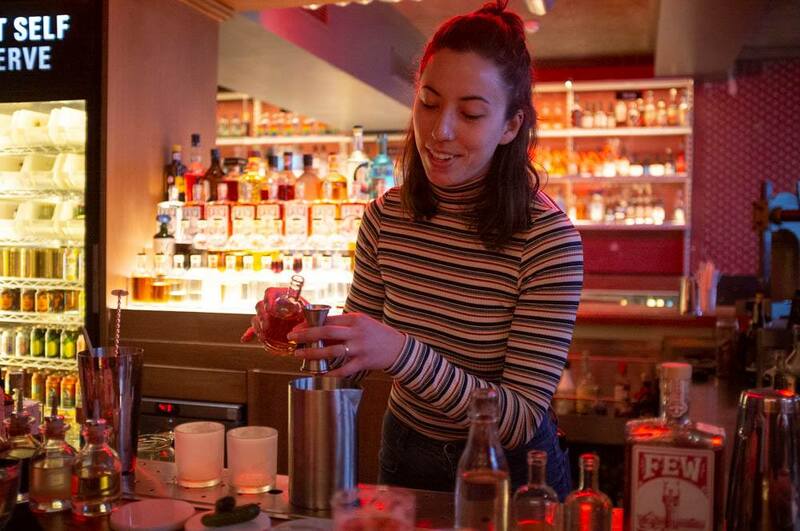 Whilst the crowd enjoyed a particularly good welcome drink from the shaker of Elliot Davies and his team, Kylie Shannon from Jenny’s in Liverpool stepped up to kick off proceedings. It was an exceptionally strong start and the pickle and ginger base of the drink combined with the FEW Bourbon got the taste buds going straight away. Boston born Kylie somehow managed to make a talk based around the US’s 1st serial killer HH Holmes both funny and interesting in a truly superb presentation. Kelvingrove Cafe’s Danny Mcmanus had an element of pickle to his drink as well with a pickled peach spritz finishing off the serve. The drink was a fantastic blend of FEW Rye with Suze, Escubac (here’s a link if, like us, you’ve never heard of it before) and saline, however it was the fermented peach syrup that really made the drink stand out. Using a red wine yeast (as a nod to FEW) it added a depth the drink and matched perfectly with the FEW. Here’s a Danny fact for you, at the World’s Fair (as depicted on the front of the FEW bottles) there were 42 varieties of peach on show. We had a couple of Old Fashioned twists on show, Rachel Shephard of Nottingham’s Boilermaker used FEW Bourbon as her base with a combination of cherrywood oak and smoke bitters and leather bitters plus some macadamia and roasted chestnut syrup. 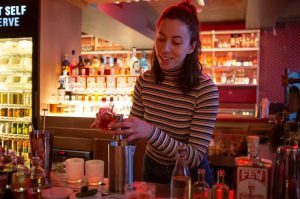 Also on the Old Fashioned trail was Rosie Scott of Blackrock who also won the line of the day award when talking about the tribulations of being female whilst working in a whisk(e)y bar in the city: ’I love glitter, pink, unicorns and whisk(e)y – none have gender, all are just lovely’. To show these are not mutually exclusive points her tasty pumpkin latte washed FEW Rye Old Fashioned with mulled red wine was garnished with glitter spray. When Gergő Muráth is around you know tiki is not far away and he wasn’t going to let this opportunity slip by. Inspired by his boyhood hero and Chicago Bulls legend Michael Jordan and his love of pre-game peanut butter and jam sandwiches, Gergő knocked up A Few More Buckets to the Space Jam soundtrack and a very entertaining performance MJ would have been proud of. Marshall Seyler of Hawksmoor Spitalfields rounded off the day with a fantastic presentation full of terrible jokes. Focusing on the Italian heritage of Chicago and the fact figs are considered to be a symbol of good luck he infused Punt E Mes with fresh figs which was combined with FEW Rye, Cynar, Angostura Bitters and absinth. It was a great way to finish off a great day. With Tom Selleck looking down on the judges the calculators came out and the discussion started. On the day it was to close to call between Danny and Kylie however there had been points given out during the promotion period for exposure and a mystery shopper visit. It was these scores that edged Danny to the top of the podium and on a plane to Chicago. Big thanks to Elliot and the team at Genuine Liquorette for looking after us so well, to Maverick Drinks & FEW for putting on such a fantastic competition and of course to all the competitors and supporters for making it such a fun day. Stirred down and served over block ice with a pickled peach spritz.